An index tracking confidence in the agriculture industry declined to the lowest in more than two years as the ruling party presses ahead with plans to change the constitution to make it easier to expropriate land without compensation. The Agbiz/IDC agribusiness confidence index declined to 48 in the third quarter, the Agricultural Business Chamber said in an emailed statement on Monday. This is the weakest since 2016. A reading below the neutral 50 mark means industry participants, who were surveyed in August, are downbeat about conditions. 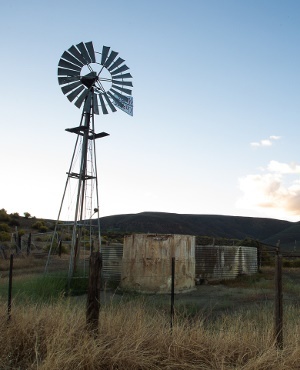 Perceptions of capital-investment confidence fell to the lowest point since the fourth quarter of 2017, when the ruling ANC adopted the policy that could enable land expropriation without pay. The move to amend the Constitution has added to wider emerging-market jitters in knocking assets. Critics of the plan and investors say the move could lead to an erosion of property rights. The ANC says more needs to be done to correct racially skewed land-ownership patterns dating back to colonial and apartheid rule. While there’s widespread consensus that land reform needs to be accelerated, views on how it should be done are widely divergent. Output by the agricultural industry contracted 29% in the second quarter - a major contributor to the country falling into its first recession since 2009. The index reflects the perceptions of at least 25 agribusiness decision makers on aspects including turnover, employment and export volumes.